UPDATE: The contest has ended, and the winner is… Matt B (@astormbrewing)! Congratulations, Matt! I’ll contact you about getting your prize in your hands! Thanks to everyone who entered and shared their thoughts on this exciting new offering. Be sure to stay in the loop with the folks over at Brewport Games to make sure you get your monthly Brew Box as soon as it’s available! What’s a Brew Box? This is a Brew Box! 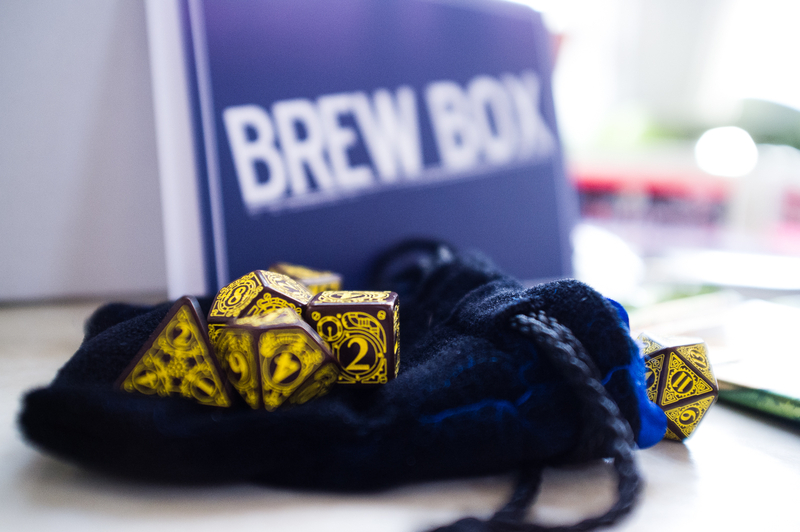 The brainchild of Charles & Brooke at Brewport Games, the Brew Box is a subscription-based service that ships a monthly package of MTG-related goodies to subscribers. Packs, sleeves, dice, tokens, etc. You can read more details about the Brew Box concept here. At this point, the Brew Box is in a trial phase, but Charles and Brooke were kind enough to throw one of their prototypes my way, and I’ve decided to pay-it-forward to a lucky random winner. 2) Leave a comment on this post with your thoughts on the Brew Box concept, and if you have any ideas for the folks at Brewport. 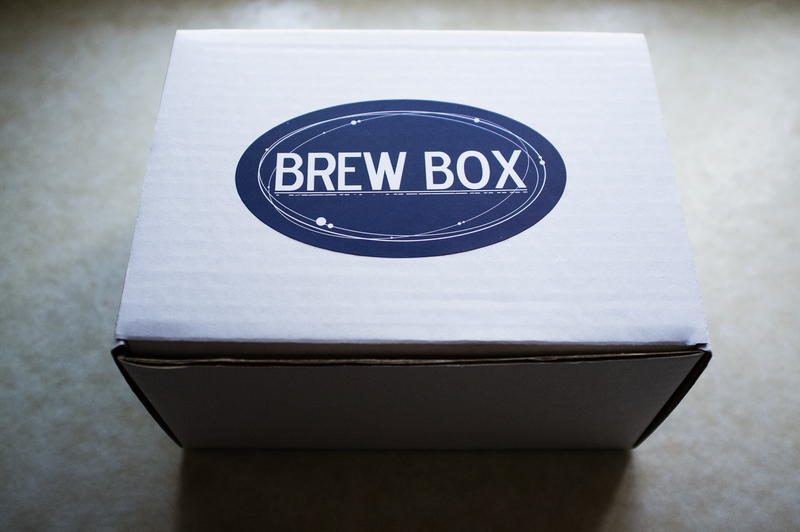 What sorts of things would you like to see in the Brew Box? Be sure to include your Twitter username so I can contact you if you’ve won! The winner will be announced on the afternoon of Wednesday, April 2nd. I’ll also likely throw in some In Contention tokens and stickers as well. 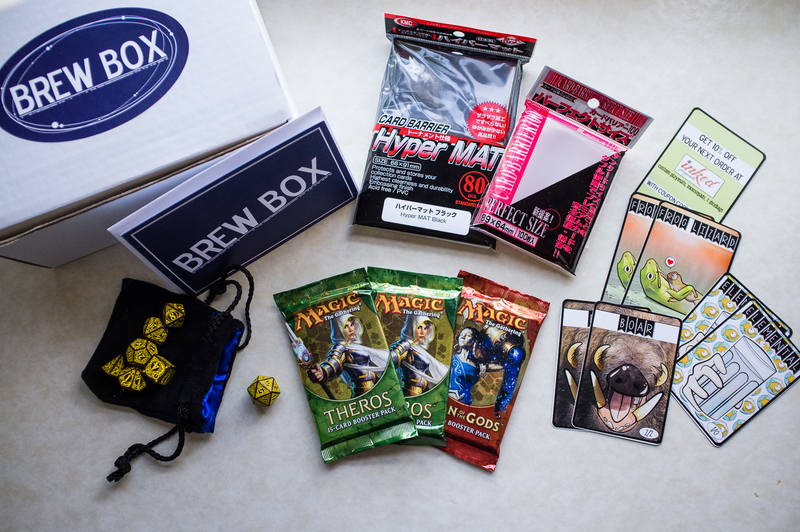 Want to see what some other members of the MTG community had to say about the Brew Box? Watch Reuben Bresler’s unboxing video, or read Heather Lafferty’s blog post. This entry was posted in Contest, News and tagged brew box, brewport, contest, dice, free, magic, magic the gathering, mtg, sleeves, subscription, tokens, win. Bookmark the permalink. I’d been wondering how long until there could be a subscription service for Magic. Seen people doing it with everything from Dog Treats, to makeup, to food. Such a fun idea! The concept sounds rather sweet. Might be something worth having a go at if they ship to Australia. This is a fantastic idea, great as a starter package for anybody new to the game and a great resource for anybody who its already settled. Everybody can always use duff and sleeves. Maybe add a pauper deck for beginners? Something to get them really started. What a cool idea!!! I’ve never even thought of magic being connected to a subscription service (other than website content) but this is brilliant! I love the whole concept of the brew box. It’s FANTASTIC! Awesome idea! I saw, I think it was Heather, get 1 and open it a few weeks ago & it definitely grabbed my attention! Everything about the box looks great, my only comment is the dice might be hard to use at a competitive event due to how they look! Other than that, the box looks great! The concept is pretty sweet. I am a fan of things like the Humble Bundle and Loot Crate. The only thing I am not sure about is longevity. The other two examples have many companies piling in where this inventory from a shop. I would try to get Monster Binders, Ultra Pro, Legions, and Fantasy Flights on board. Maybe even Inked Playmats and dice companies. That it allows them to expand their brands as well as be part of something cool. Just a thought, just a though. I LOVE this idea and would participate if I had more disposable income. I’m Msredmage on Twitter! I love Love LOVE this idea!! If I had more disposable income I would be totally in! Those dice look awesome. I can’t wait until this subscription goes live! Great concept, and sweet array of prizes! Fels like this concept takes over where WOTC Player Rewards left off… shows appreciation for MTG player base, while stimulating growth. I like! I think it is a great idea! I think the most important thing is to keep it fresh every month. I think exclusive content (articles, tokens, sleeves, etc.) would be cool. Everything about this concept is amazing. Personalizing someone’s Magic experience through product is revolutionary, and let’s face it, those custom tokens are sweet. MTG subscription box? Basically the best idea ever. Go the Loot Crate way, and add something like a cool card in one random person’s box every month. Everyone loves that “MAYBE ILL GET A FETCH LAND” lottery. I think that this is a great idea! Especially with sleeves. Who doesn’t need new ones monthly? Also it’d be awesome to get some custom lifepads, or even rope in sign in blood to get those in the box! This would have been great for me when I lived in a rural area and it was a 45 drive to the closest game store. Seems like a fun idea. Can’t really think of anything else to add. I will absolutely be doing this over my current loot crate subscription. Also, @T1Forest is my twitter name for the contest! Thanks for doing this. Looking forward to the Brewbox going live soon. Definitely looking to subscribe. I like that they include basic accessories such as dice and sleeves. It was previously mentioned, but a life pad and a pen would be great too. Its those little things that you could use every month that would give the box staying power while things like boosters and tokens keep it fresh and exciting from month to month.